Before I started seeing a CBT therapist, I had a tendency to have really bad days and really good days. On really bad days, I'd feel entirely hopeless and shut myself off from the world. On really good days, I'd believe that I'd never have a bad day ever again. The problem was, I did have really bad days afterwards and they hit harder because I did nothing to prevent them. I'd have a good day and forget I was ever sad. Just like fitness, you have to keep working at it. 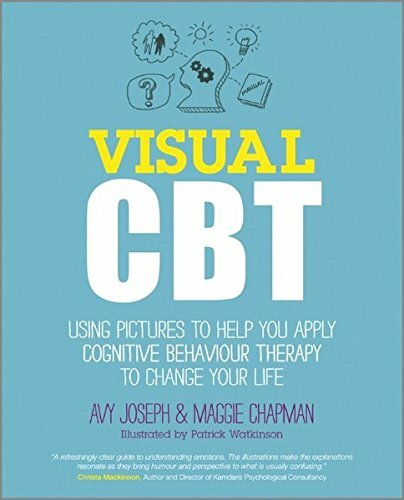 During my first of 7 sessions, my therapist recommended I get Visual CBT, a book I mention in my post about unhealthy vs healthy beliefs. This is a great book for anyone interested in learning more about CBT. It'll take you through the 8 unhealthy negative emotions and their healthy counterparts, explaining through pictures the difference between each. Negative emotions are normal to have, as long as they are healthy. For example, If you lose your job and react by hiding in your room alone in the dark watching Netflix and eating your weight in chocolate, you think "I'll never find another job. Losing this job is the worst thing that's ever happened to me," that's unhealthy. If you lose your job and allow friends to comfort you, you make an effort to leave the house, you start looking for another job, you think "It's really too bad that I lost that job but I've learned from it and I will work better at the next job," that's healthy. By the 7th and last session, I was finished seeing a therapist but I wasn't finished working on myself. So I bought two workbooks, The Little CBT Workbook and The CBT Workbook. 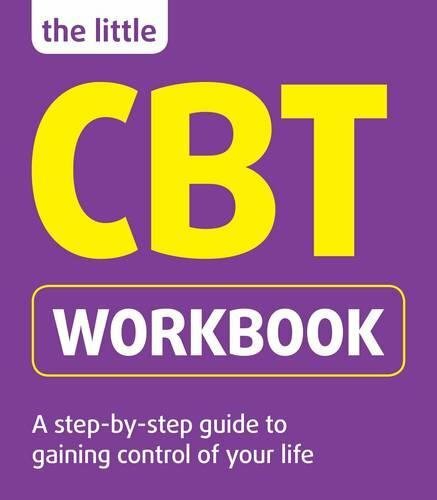 I take my Little CBT Workbook into coffee shops and work through the exercises. It's a great way to take a break from my PhD writing but still be proactive. This is a tiny book and fits easily in my bag, so I take it everywhere I go. 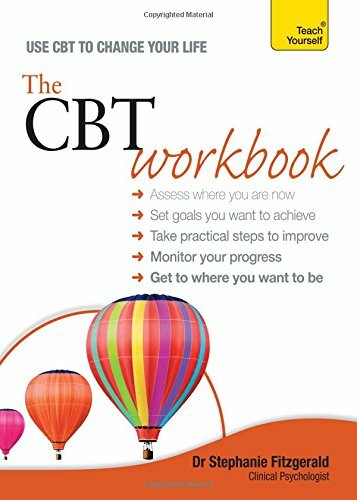 The CBT Workbook delves a bit deeper than the Little CBT Workbook. It's a larger, thicker book designed to take a beginner through all the steps of CBT start to finish and teaches you how to avoid future set-backs. That's key! I think these 3 books are some of the best because they provide images, charts, and exercises for you to fill in. Many books, like the Idiot's Guide or For Dummies have a lot of text on each page. I'm the kind of person who needs visuals and needs to work through things. I can't retain much from reading alone. Think about your favorite study techniques in school. Maybe you are a reader, if so, there are a ton of books out there for you. If you're a note-taker, like me, check out these books! You'll become your own therapist in no time. *These are all British books, so they might be difficult to find in the States but I'm sure there are equally helpful US alternatives.